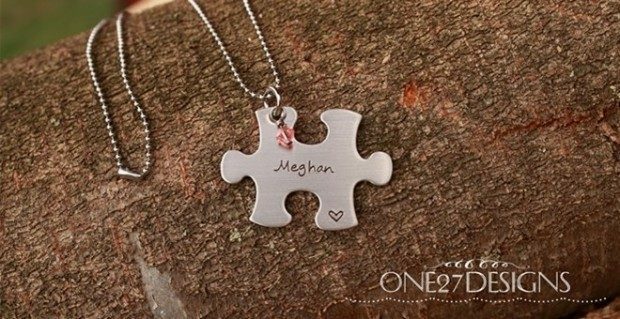 Customized Puzzle Piece Necklace Only $13 Shipped! You are here: Home / Great Deals / Customized Puzzle Piece Necklace Only $13 Shipped! This Customized Puzzle Piece Necklace for Only $13 Shipped will show the world just how unique you are! Just $10 for the necklace and $3 shipping, this is a great deal! These puzzle pieces are perfect for teacher gifts, best friends, graduation, couples, representing autism awareness, wedding gifts, plus much more! Customize up to 10 characters.